Welcome to the fourth issue of Allied Academies' News. We will produce at least two of these each year -- one after each conference. The newsletters will provide readers with information on what's new at Allied Academies, as well as conference results. Publication Guidelines - we have drastically changed our formatting requirements in order to reduce the time we spend formatting our publications. Affiliate Academies - we have created more informational pages for each of our affiliates. Journals - we have been working to get all of our back issues in PDF format. We have quite a few up and will be adding more in the near future. Submission Procedures - we have changed our manuscript submission and acceptance process. ASOL Accreditation - the Academy of Strategic and Organizational Leadership conferred accreditation upon the Department of Organizational Leadership and Supervision of Purdue University (see below for details). Dissertation Award - the Academy of Entrepreneurship is pleased to announce the Carland Award for Outstanding Entrepreneurship Research in a Doctoral Dissertation (see below for details). Distinguished Teaching Awards - the Academy of Educational Leadership is pleased to announce the establishment of two new awards (see below for details). The Myrtle Beach 1999 conference was a record for us. We had 140 papers, symposia, cases and workshops representing more than 220 authors from four countries and more than 30 states. These works represent a great range of ideas and contributions, from cutting edge contributions to the literature, to pedagogic and educational application, to applied and practical research. We would like to extend our heartfelt appreciation to each of our participants. It is you, the authors and conference participants, who make the Allied Academies successful and who support our efforts to achieve our mission. Thank you for a great conference. The following is a list of the distinguished research award winners in each of the eleven areas. This represents a 25% acceptance rate for each discipline represented at the conference. Each of these works will appear in the next issue of the appropriate Journal. We appreciate your sharing your work with us and hope that you will continue to support the Allied Academies by attending the conferences and producing such noteworthy research. Click here to view the list of award winners. The Academy of Strategic and Organizational Leadership conferred accreditation upon the Department of Organizational Leadership and Supervision of Purdue University following an on- site visit and an evaluation of their self-study. It was determined that the OLS department had met and exceeded the qualifications for accreditation and in fact was deemed exemplary by the examining body. The OLS Department of Purdue University has achieved accreditation through its commitment to the ASOL philosophy of following a mission which is congruent to the department, college and university of which it is a part; has demonstrated a continuing program of enhancement in leadership education emphasizing the educational and professional value which a leadership program affords to its students and graduates; has demonstrated a favorable cost/benefit relationship for its program; has exhibited high quality; has agreed to remain a member in good standing of the ASOL; and has agreed to submit to a ten year review cycle in order to maintain its accreditation. Further, the OLS department of Purdue University has encouraged innovation and experimentation by facilitating many experiential components to its programs and has achieved a reputation for a high quality leadership program, recognized nationally. 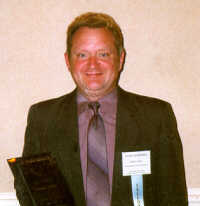 Dr. Larry Dale of Arkansas State University was designated Academy Fellow at the Myrtle Beach conference. 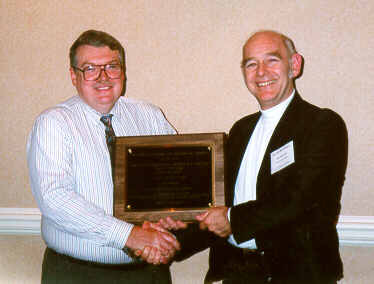 He was recognized for his efforts in creating a new Academy in Economics and Economic Education and becoming the first Editor for that Journal which should have its first issue in 2000. Dr. Dale has been an avid and enthusiastic supporter of the Allied Academies and has brought us a new dimension for which we are truly grateful. Thank you Larry for your efforts and continued support. Each year at the Fall conference, the Carland Entrepreneurship Research Award is given for the best doctoral dissertation in the area of Entrepreneurship. The recipient of this Award receives an engraved plaque and a check for U.S. $1,000.00. We would love for you to nominate yourself or a colleague for this award. To be considered for the 1999 award, scheduled for presentation at the Allied Academies' International Conference in Las Vegas, Nevada, United States, in October of 1999, the materials must be received by September 15, 1999. Questions may be referred to Jim or JoAnn Carland, 828-293-9151, or [email protected]. Additional information about this award can be found on our dissertation award page. The Academy of Educational Leadership is pleased to announce the establishment of two new awards. The first award will recognize an individual faculty member of a university or college for innovative and creative teaching. The individual recognized by this award will receive an engraved plaque, and his or her name will be added to the role of outstanding teachers maintained on the Academy web page. The second award will recognize a university or college program, department, or school, for innovative and creative education. The unit recognized by this award will receive an engraved plaque, and its name will be added to the role of outstanding programs of study maintained on the Academy web page. These awards may be granted semiannually at the Allied Academies' National Conference in the Spring and at the Allied Academies' International Conference in the Fall. Information concerning the administration of these new awards is detailed on our teaching award page. The first Internet Conference was a success. We had 6 participants whose papers are now published in our first volume of the Proceedings of the Allied Academies Internet Conference (PDF). Although we had little interaction between authors, we do hope that people will take advantage of the numerous benefits to internet conferencing in the future. It is a very cost effective alternative to physical conferences. Internet registration fees are currently only US $150, and papers presented at virtual conferences have an equal chance for Journal publication with papers presented at physical conferences. Our second Internet Conference is now running through September 30, 1999. We will accept submissions throughout that time. We currently have one paper posted and invite anyone interested to join. For more information on the second Internet Conference, go to the Internet Conference Information page. 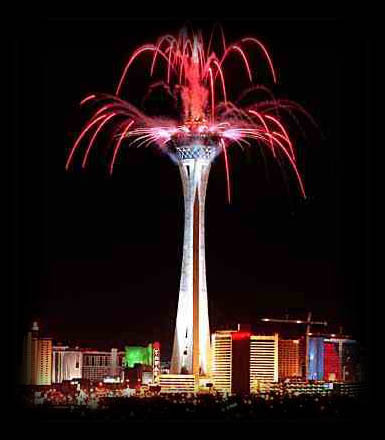 Allied Academies will hold its 1999 international meeting in Las Vegas, Nevada. Presentation dates will be October 12-16, 1999. To provide you with maximum outlets for your research, the Allied Academies will hold joint meetings of all its member academies. Please consult the Conference Call page for more information (please note that our submission procedures have changed, see the call for details). Remember to continue checking the web page as conference time approaches, the schedule will be published on our web site. We are working to make the Las Vegas conference even more successful than our conference in Myrtle Beach. We hope to attract many new members as well as all of our current and past members. In order to accomplish this goal we need all of the help we can get. So contact friends and colleagues and tell them about Allied Academies and our up coming conferences. We hope that you will join us in Las Vegas in October. We look forward to seeing you there. 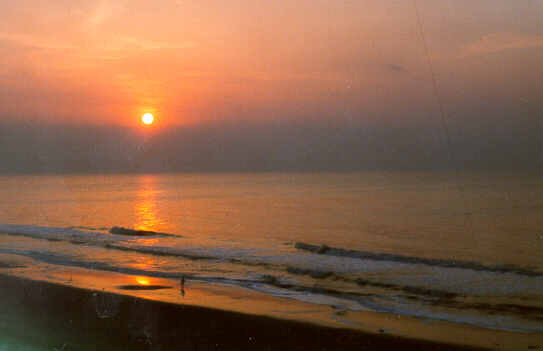 We will be returning to Myrtle Beach in the Spring of 2000 (April 5-8). For more information, please consult the Conference Call page.